Successfully Added XiaomiRedmi Note 5 Android Phone – Octa-Core CPU, 128GB ROM, Dual-IMEI, 12MP Dual-Rear Cam, 2K Display, 4G (Gold) to your Shopping Cart. 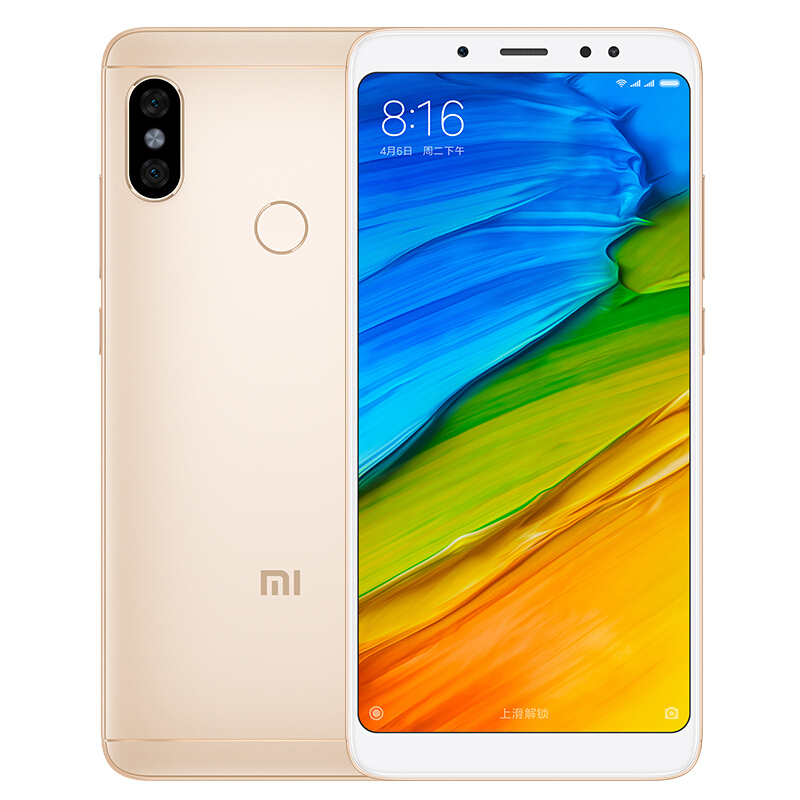 With its Dual-IMEI numbers, 4G, and Dual-Band WiFi, the XiaomiRedmi Note 5 keeps you connected anywhere you go. You’ll be able to slide in two SIM cards while staying connected to both numbers at the same time. Additionally, you can browse the web at lightning speeds without ever running into a laggy internet connection again. Thanks to the phone’s fingerprint scanner, accessing your files has never been easier. With the simple press of your finger you can access your contacts, games, and pictures. The latter of which can be snapped with the phone’s professional-grade 12MP dual-rear camera..